County Kilkenny-born James Anthony Heffernan, who is universally known as Seamie, has been based at Aidan O’Brien’s Ballydoyle stable since 1996. Like O’Brien, he gained his grounding at Jim Bolger’s stable and was jointly Ireland’s champion apprentice alongside Daragh O’Donoghue in 1994. 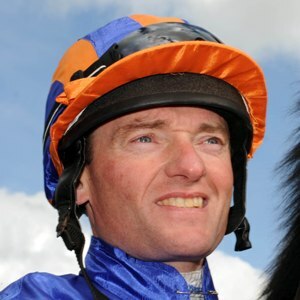 Despite being the perennial second jockey at Ballydoyle behind such as Michael Kinane, Kieren Fallon and Johnny Murtagh, Heffernan has enjoyed numerous big-race victories for the operation and has won six Irish Classics, including three successes in the Irish Derby. Heffernan partnered Galileo and High Chaparral to win the Derrinstown Stud Derby Trial before their Investec Derby triumphs in 2001 and 2002 respectively, and he has twice filled the runner-up spot in the Epsom Classic on Fame And Glory (2009) and At First Sight (2010). He enjoyed a very successful 2011 campaign, winning a pair of Group 1 races on Misty For Me in the Irish 1000 Guineas and the Pretty Polly Stakes, and he tasted success in the QIPCO British Champions Series courtesy of So You Think, who landed the 2011 Coral-Eclipse for him at Sandown Park in July. The rider gained a deserved first British Classic success at Epsom when partnering the O’Brien-trained Was to victory in the 2012 Investec Oaks. In 2015, he enjoyed three wins at the highest level, including on Minding in the Moyglare Stud Stakes at the Curragh. This year, he finished third aboard Idaho in the Investec Derby but suffered heartache on the same horse in the Ladbrokes St Leger when unseated about half a mile out. Idaho had been odds-on to win but stumbled badly and gave his rider little chance of staying aboard.